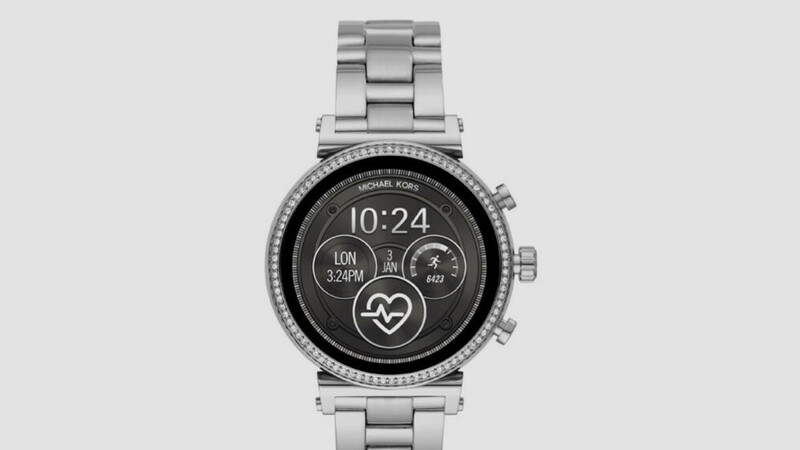 The extensive Michael Kors Access collection of stylish Wear OS smartwatches is getting a somewhat discreet new addition at CES 2019 in Las Vegas. The Access Sofie 2.0 follows in the footsteps of the fashion brand’s popular first female-oriented device compatible with Android handsets and iPhones. At first glance, not much seems to have changed, but under the familiar glamorous hood, the second-gen smartwatch actually hides plenty of major upgrades and important feature add-ons. In a nutshell, the Michael Kors Access Sofie 2.0 does a significantly better job than its predecessor at bringing the fashion and tech worlds together. With standalone GPS and NFC support, owners of the refreshed device will be able to track their location during the occasional run (no connected phone needed), as well as pay for stuff directly from the wrist. A heart rate monitor is another welcome addition to Sofie’s list of features, proving healthcare and fashion are not mutually exclusive, while the modest IP67 water resistance rating of the original model is improved to 3 ATM, meaning you can also take this beaut for a quick swim with no worries whatsoever. If there’s something to be disappointed about, that’s definitely the ancient Snapdragon Wear 2100 processor powering the Access Sofie 2.0. For some reason, Qualcomm’s hot new Snapdragon Wear 3100 chipset is not catching on as quickly as you may have expected. Let’s at least hope that compromise will allow the Fossil Group, which is the actual company behind Michael Kors-branded smartwatches, to sell this thing at a reasonable price. Unfortunately, there are no words on that or a release date yet. For reference, the original Sofie lineup is currently available at $249 and up with no GPS, NFC, or a heart rate monitor. that is what a watch is supposed to look like. The Snapdragon 3100 is as bad as the 2100 regarding battery life, after reading various reviews. Qualcomm needs to create a 10nm or 7nm smartwatch chip, the current 28nm chips are no match for Samsung's 10nm parts.